Like most officers, Sorrel came from an upper-class family. His father was one of Savannah’s wealthiest businessmen, his mother was from an old Virginia family, the Moxleys. The Savannah house where Sorrel grew up has been called “one of the finest examples of Greek Revival architecture in the United States,”2 and it’s now open to the public. Sorrel tells how, after the bloody battle of Fredericksburg, Union and Confederate pickets began chatting and trading. The authorities had to set their faces sternly against this trading. It led to desertion. A fine Federal band came down to the river bank one afternoon and began playing pretty airs, among them the Northern patriotic chants and war songs. “Now give us some of ours!” shouted our pickets, and at once the music swelled into Dixie, My Maryland, and the Bonnie Blue Flag. Then, after a mighty cheer, a slight pause, the band again began, all listening; this time it was the tender, melting bars of Home, Sweet Home, and on both sides of the river there were joyous shouts, and many wet eyes could be found among those hardy warriors under the flags. The soldiers were fond of chanting hymns and quaint old plantation airs, and at times they were touching with the recollections of home. Homesickness was often very prevalent, and the awful nostalgia came near crippling us. Longstreet was then a most striking figure, about forty years of age, a soldier every inch, and very handsome, tall and well proportioned, strong and active, a superb horseman and with an unsurpassed soldierly bearing, his features and expression fairly matched; eyes, glint steel blue, deep and piercing; a full brown beard, head well shaped and poised. Longstreet’s wife and children were at Richmond. He was devoted to them. Suddenly scarlet fever broke out and three of the children died within one week. He was with them, and some weeks after resumed his command a changed man. He had become very serious and reserved. Longstreet knew many Union officers from West Point, from the Mexican-American War, from Army service in the West, etc. At West Point he was fast friends with Grant, and was his best man at the latter’s marriage [Grant married a relative of Longstreet]. 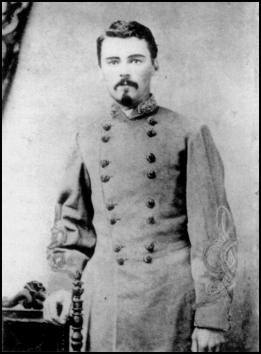 Grant, true as steel to his friends, never in all his subsequent marvelous career failed Longstreet when there was need. During much of this time he was said to be intemperate, but if true it made no difference in the results accomplished. Mr. Lincoln was thought to be looking up Grant’s brand of whiskey for some of his other generals. This General’s character made him very dear to his friends. He was always true and helpful to them, and possessed a certain directness and simplicity of action that was in itself most attractive. Grant was in excellent form, looked well and talked well; his glass was not touched. Fresh from his tour around the world he had much to say. He had been deeply interested in Japan and talked incisively of that wonderful country, really a monologue of a full hour, the table intent and absorbed in the fresh observations that fell from him. Then it became time for his departure to meet a public appointment, and we rose to bow him out. Resuming our seats and attention to the old Madeiras, we agreed that for a silent man Grant was about the most interesting one we had recently found. His talk was clean-cut, simple, direct, and clear. Grant is also clear and forceful in his writing style. His memoirs have a high reputation. In the final phase of the war, when Grant came East to do battle with Lee, he began a war of attrition, utilizing his larger numbers. The South was running out of soldiers, and could only recruit more by “robbing the cradle and the grave” — that is, enlisting the old and the young. But how could Grant tell his soldiers that he was waging a war of attrition, that he was going to trade two of their lives for one Confederate life? Wasn’t the policy of attrition bound to cause some grumbling in Union ranks? Here the Federal commander, weary of Lee and the oft-repeated march, made up his mind evidently to finish things. He attacked us with the utmost ferocity, but in vain. The assaults were delivered repeatedly but always repulsed with frightful carnage, and finally men could do no more. The officers with drawn swords pointed the way, but the men stood motionless in their ranks, a silent, effective protest against further “attrition.” General Grant was late in asking for a truce to bury his dead, but finally did so. The sight in our front was sickening, heartrending to the stoutest soldier. Nothing like it was seen during the war, and that awful mortality was inflicted in but little more than an hour! The Union commander afterwards announced in general orders that no more assaults on entrenched lines should be made. An unusually handsome man, he has been painted with brush and pen a hundred times, but yet there is always something to say of that noble, unostentatious figure, the perfect poise of head and shoulders and limbs, the strength that lay hidden and the activity that his fifty-five years could not repress. Withal graceful and easy, he was approachable by all; gave attention to all in the simplest manner. His eyes — sad eyes! the saddest it seems to me of all men’s — beaming the highest intelligence and with unvarying kindliness, yet with command so firmly set that all knew him for the unquestioned chief. His manners are most courteous and full of dignity. He is a perfect gentleman in every respect. I imagine no man has so few enemies, or is so universally esteemed. Throughout the South, all agree in pronouncing him to be as near perfection as man can be. Lee began now to prepare for his summer campaign. It was secretly settled that it should be an invasion of Pennsylvania. There were many things that assisted in arriving at this decision in the conferences with the president and chiefs of the Government at Richmond. Virginia had been fiercely fought over, and ravaged by the tramp of hostile armies. Now, it looked as if the enemy should feel something of such sacrifices. If we could live on the supplies we hoped to find north of the Potomac, the already serious question of food and forage for our men and animals would lighten up temporarily, at least; and finally, the men of arms were eager for the movement and most enthusiastic at the start. Perhaps it isn’t surprising that the same man would be both actor and spy; acting and spying are similar professions. Actors and spies both pretend to be someone they aren’t. Aldrich Ames, a CIA agent who became a double-agent for the Soviets, flunked out of the University of Chicago around 1960 because he had a consuming passion for drama. A charge that, considering the difficulties of position, comparison of numbers, was so steady to the objective point, and so near success as to make it one of the greatest feats of arms in all the annals of war. Every brigade commander and colonel and lieutenant-colonel of Pickett’s division was shot down. I soon found myself saluting General T. J. Jackson, the first time I had seen the soldier. He was seated in a low, comfortable chair in front of his quarters, quite shabbily dressed, but neat and clean — little military ornament about him. It was the eye full of fire and the firm, set face that drew attention. His hand was held upright; a ball at the recent battle had cut off a piece of his finger, and that position eased it. He was all courtesy to the young subaltern awaiting his answer. One secret of Stonewall Jackson’s success was that he was such a strict disciplinarian. He did his duty himself and was ever at his post, and he expected and demanded of everybody to do the same thing. He would have a man shot at the drop of a hat, and drop it himself. The first army order that was ever read to us after being attached to his corps, was the shooting to death by musketry of two men who had stopped on the battlefield to carry off a wounded comrade. It was read to us in line of battle at Winchester. Jackson’s coldness and ruthlessness can be traced to his hard childhood. His father died when he was 2, his mother when he was about 7. He was sent to live with various relatives, some of whom treated him “as an outsider.”7 As a youngster, he showed a proclivity for long marches; he once hiked 18 miles, alone, through the wilderness, while running away from an unloving relative. Lee also had limited contact with his father, who was a famous cavalry officer in the American Revolution, and later a Governor of Virginia. His father was 51 when Robert was born. Robert was the fifth child in the family; if you count the children from his father’s first marriage, Robert was the eighth child. When Robert was 2, his father was imprisoned for debt. When Robert was 5, his father went to the West Indies, to convalesce from injuries sustained during a political riot; his father left his wife and children behind in Virginia. He never saw Robert again; he died when Robert was 11. After presentation to Mr. and Mrs. Davis I had a good look at that remarkable man. A most interesting study, calm and self-contained, gracious with some sternness; his figure was straight, slim and elegant. A well-poised, ample head was faced with high-bred features and an expression that could be very winning and agreeable. A word about this splendid fellow. He was from Georgia and a dear friend of mine. Leaving West Point with very high honors, he was immediately commissioned into the Engineers, and sent to the Pacific, whence he came South to fight.... He was a many-sided character — an engineer of the highest abilities, an artillerist of great distinction, a good reconnoitering officer and an enthusiastic sportsman besides.... His was the happiest and most hopeful nature. He was sure of winning in everything he took up, and never did he open his guns on the enemy but that he knew he should maul him into smithereens. An accomplished engineer, he was often called on both by Lee and Longstreet for technical work and special reconnoitering. His future in peace, after Appomattox, was varied and distinguished, and he still is with us, eager, enthusiastic, most interesting, and of undiminished abilities. 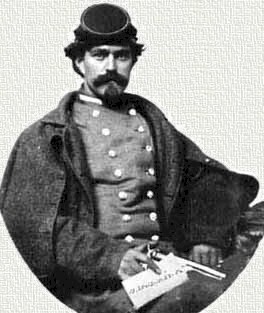 Alexander’s Military Memoirs of a Confederate “have received much praise for their insight and objectivity,”9 and Freeman includes them on his list of the best Civil War memoirs. A. I saw Woody Allen: A Documentary, which was made by Robert Weide and is part of the PBS series American Masters. Though it’s 194 minutes long, there’s never a dull moment. Allen says his movies are light entertainment, and if we treat them as such, we’ll probably enjoy them. I recently enjoyed Allen’s Vicky Cristina Barcelona. B. I discovered a historian named Edmund S. Morgan. Morgan specialized in early American history. He died in 2013 at the age of 97. For many years, he was a professor at Yale. Among his books are The Puritan Dilemma: The Story of John Winthrop, The Gentle Puritan: A Life of Ezra Stiles, 1727-1795, and studies of Franklin and Washington. C. The RISD Museum currently has an exhibition called What Nerve! Does this title reveal something about modern art? Is the modern artist trying to display “nerve,” audacity? If so, this is a sharp contrast with earlier artists, who tried to display a mastery of their craft, a taste for beauty, etc.